Each player begins with 4000 LP. While Speed Duels may not have huge combos like in Advanced format, starting with 4000 LP drastically increases the power of aggro decks. This makes LP a relevant resource akin to card advantage and tempo. Main deck is 20 to 30 cards. Decks will be more consistent, making combo-based decks that rely on Fusion Summons more reliable. Five cards maximum in the Extra Deck. Not too relevant at the moment, but will limit tech choices later. Each player has one skill card. Skill cards do not use the chain. Extra deck monsters are placed in the Main Monster Zone. Each player has three main monster zones, three spell and trap zones, one field zone and a Graveyard. Each player can have an active Field Spell. The board is much smaller than in Advanced. This limits aggressive decks to an extent, as well as decks that intend to stall with multiple trap cards. This means that trap cards need to be set before the Battle Phase. This could be relevant if a card such as Malevolent Catastrophe is released. Both monster and spell/trap removal is sparse. Instead, monster removal is often performed by battle, with cards that increase attack. Spell/trap removal is attached to certain conditions, such as Stamping Destruction requiring a Dragon-type, or Triangle Ecstasy Spark requiring a Harpie monster. While there are many generic cards in the early meta, the real power cards require a certain type of deck. The decks with the most present support are as follows: Dragon Beatdown, Amazoness, Harpies, Gravekeeper’s and Toons. This deck strength relies in its Skill, Dragon Caller. 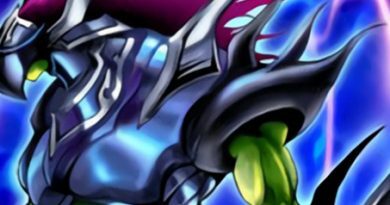 With Speed Dueling currently lacking removal, being able to drop a combination of Blue-Eyes White Dragon and/or Tyrant Dragon will often lead to an OTK. Lord of D. isn’t a slacker either, protecting Dragon-types from being targeted. It is very consistent with the deck size being 20 cards, yet has access to cards like Stamping Destruction to further apply pressure. It can play cards like Blue Dragon Summoner and Wonder Wand to supply a grind game, as well. 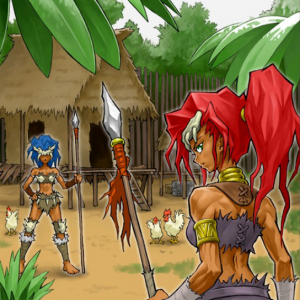 Amazoness decks have access to an incredible field spell, Amazoness Village. 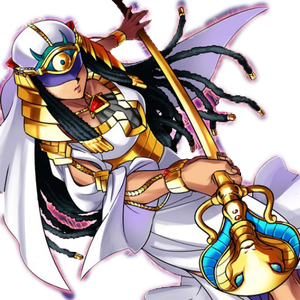 If it stands unopposed, the Amazoness player has access to many powerful monsters, such as Amazoness Sage for S/T removal, Amazoness Swords Woman to stall, or Amazoness Chain Master to steal key pieces from the opponent’s hand. Their equip spell, Amazoness Heirloom, combos well with the aforementioned monsters, and provides monster destruction. 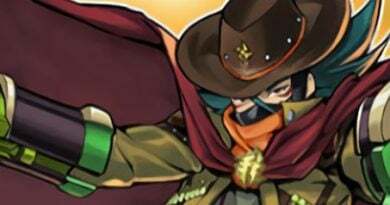 Amazoness Archers is a tricky trap that forces the opponent into a dangerous situation, such as a reverse OTK with Swords Woman or clearing their board by reducing all their monster’s attack. This deck could benefit from the Destiny Draw skill, since it can force the opponent to activate its requirements. While Tribal Synergy could be used by splashing in Harpie monsters, I fear this would make the Deck more bricky by adding monsters that are of little use in hand. Harpies are a check to decks that rely on spells or traps to protect them or gain advantage. Both Triangle Ecstasy Spark and Harpies’ Hunting Ground apply aggressive pressure. Unfortunately, there aren’t many Harpie monsters available at the moment, meaning the deck would have to be a hybrid. You could play it with a small Amazoness engine for the Tribal Synergy skill, or Flight of the Harpies to make the deck more reliable. It has a lot of space, so this could be the “good cards deck” of the format. Gravekeeper’s are a grindy deck, with lots of recursion and beatsticks. It has access to the skill Gravekeeper’s Lot, upping consistency further. 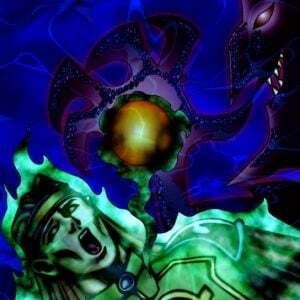 The deck also has access to powerful Spellcaster spells and traps, like Wonder Wand and Magician’s Circle. Gravekeeper’s could take the form of a traditional control deck, or one that revolves around keeping Gravekeeper’s Priestess on the field to access Necrovalley-centric effects like Gravekeeper’s Assailant and Hidden Temples of Necrovalley. Toons are a tricky aggro deck that has amazing consistency due to Toon Table of Contents. 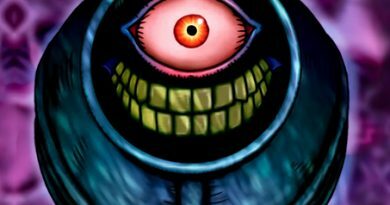 All of their monsters can attack directly which, when paired with Toon Rollback, can lead to massive damage. At the moment, the skill It’s a Toon World! seems most optimal, but a Toon player may opt to play an additional copy of Toon World in the main deck just in case the skill card is removed. Furthermore, Toon monsters need to stay on the field for a turn to attack directly, meaning space must be sacrificed to play defensive cards. A glass cannon deck. Based on these predictions of the early meta, let’s judge which skills are worth using, and which have potential for future use. Skills that provide a minimal boost to ATK pale in comparison to other effects that give card advantage. Effects like Aroma Strategy and Prescience don’t give information that is entirely relevant to future plays. Effects that have a chance to do nothing, or even have an adverse effect, are rarely worth using either. Tribal Synergy, Flight of the Harpies, Dragon Caller, Gravekeeper’s Lot, It’s a Toon World! These skills are the most obvious to include in a deck that coincides with the skill’s intended archetype. It’s difficult to choose a different skill when there’s no downside to a consistency boost like an archetype search. Many of these skills are not lackluster, but lack the required deck archetype to fully use them. Pal-O’Mine-zation!, Destiny Draw, and Final Draw are just waiting for a combo deck to be used. Millennium Necklace and Millennium Eye could counter said combo decks. Mind Scan has potential for when more traps are available, but it’s not clear how difficult it will be to maintain 3000 LP in the future. The first starter decks have shown a willingness to introduce both generic staples and archetypes into the Speed Duel format. While some skills aren’t useful now, it’s exciting to see what the game designers have in mind for such unique effects. 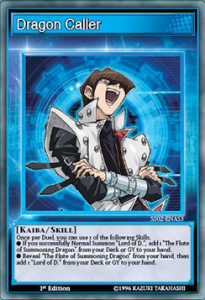 Speed Duel format has similarities to the first format in Yu-Gi-Oh!, such as the Dragon Beatdown strategy, while also clearly mimicking Duel Links. The power level will definitely increase when the next Speed Duel pack comes out, and new summoning mechanics may be added. Currently, while a simple format, Speed Duels have unique match-ups and require skill in resource management like a classic card game.